August 3 will be Wendy LeFevre’s last day at Maple Lake Academy. Wendy has been the Educational Director at Maple Lake for the past several years. During that time, she was responsible for improving the educational program at the school for girls and opening the school for boys. Wendy has been responsible for building the quality educational program that currently exists at Maple Lake. She has been innovative in insightful in creating a program that addresses the unique issues that Maple Lake students face. Under her direction, students have thrived in their educational experience. Many of these students had not experienced a great deal of educational success prior to coming to Maple Lake. Wendy has integrated an approach of using Executive Functioning Skills in the school program. Teaching students these skills and how to apply the skills to a school setting has contributed to overall student success at Maple Lake. Wendy has accepted a position teaching math at Spanish Fork High School located in Spanish Fork, Utah. Her experience and expertise will be missed by the students and staff at Maple Lake. 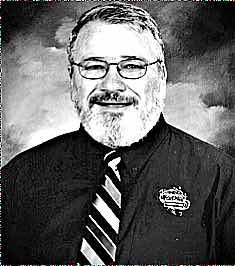 Maple Lake has hired Joe Kelly to replace Wendy as Educational Director. Joe has always been the Principal at Maple Lake and has consulted part time with the educational staff concerning the program and curriculum. He helped Maple Lake earn its initial accreditation to be a specialized private school in 2005. He is excited be working in an organization that is so committed to changing and improving the lives of young people from across the entire country. He has always specialized in working with hard to reach students who are struggling with their school experience. He has just completed his 30th year of education. During that time, he has been a history teacher, psychology teacher, weight training coach, fitness coach, track coach, soccer coach, football coach, and wresting coach. After his teaching and coaching career, he was a school counselor for four years. He then became an assistant principal at a junior high school. He has also served as the Nebo School District At-Risk Coordinator and principal of Landmark High School. Joe retired from this position on July 1, 2015. Joe is also an author and recently published a book on how schools can reach “at-risk” youth. The title of the book is “Whistling In The Graveyard.” It is centered around the dropout problems facing our students and lists several ways to address the problem. Joe is also a 4th Degree Black Belt in the art of Tae Kwon Do. He loves Dutch oven cooking, and on any Sunday afternoon he can be found cooking a favorite Dutch oven recipe for his family. Joe is proud of his family. He is married to a beautiful wife and has five children. He also has three grandchildren who he loves to spoil. Thank you for putting this blog together. It was very informative. I liked hearing about where the adventures of camping took the boys and what they learned along the way. I look forward to working with you and learning more about the direction you will be taking MLA and our boys. Thank you for taking the time to tell us more about you. You clearly have a lot to offer. I appreciate your willingness to share with us.